Colorado is less strict than most states and does not require 150 credit hours to earn a CPA license. However, if you do earn 150 credit hours your work experience requirement will be waived. *CPA applicants who received a bachelor’s degree before July 1, 1993 must adhere to the old CPA requirements. 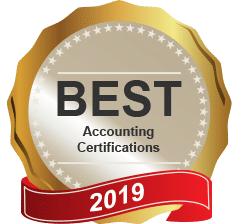 **International candidates: The State Board no longer accepts Association of Chartered Certified Accountants (ACCA) certificates to fulfill the educational requirement. Chartered Accountant (CA) qualifications from Australia, Canada, Ireland, Mexico and New Zealand are accepted as part of the U.S. International Qualifications Appraisal Board (IQAB) MRA agreement. However, those from other jurisdictions are no longer accepted. Please check out the Information and Application for Pre-Evaluation if you have questions regarding this rule. Important Note: Effective July 1, 2015, Colorado will require the completion of 150 credit hours before applying for a CPA license. The cost to take all four sections of the CPA exam in Colorado is $743 plus the initial $150 application fee. The re-examination registration fees vary depending on the number of sections. **Important Note: You should not apply and pay for exam sections that will not be taken within six months because your Notice to Schedule (NTS) in Colorado expires 6 months after issuance. Hi! 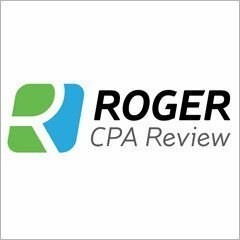 I have passed 3/4 sections of the CPA exam and am looking ahead to applying for a license. The state of Colorado requires one 'GAAS'-based audit course and an additional 'other auditing' course. I took a Forensic Accounting class that focused on both investigative and fraud auditing. Have you ever heard of someone using a Foresnic Accounting class to satisfy this credit? Hello there,I have passed all the CPA exams in 2013 from the State of Colorado, I also have an MBA with finance concentration from Keller Graduate School of Management of Devry University in New York State, I have 180 credits in finance and accounting, but I have no public accounting experience, am I eligible to get Colorado license? and if yes, how do I apply and send the documents, I am now in UAE,advise please. Does anyone know the answer to Ravi's question or have experience with this same thing? I am not sure how Colorado handles this. Hi I have passed all the 4 sections of CPA exams from Colorado in year 2009 and would now like to apply for a license. I have over 3 years of work experience in public accounting. But my education consists of B.Com from India with a CA license and CS exam passed. Is there a way to get a license in Colorado with this qualification. I am OK with applying in any other state by transferring Exam Credits as long as a license is given.. Please advise. Hi, I am confused by Colorado website. The website provide a purchase option ofAICPA Professional Ethics Self-Study Book for $135. Is this the same with the one provided by AICPA website? Which one is accepted by CO for initial licensing? I thought CO accept AICPA ethic course. Yes both of those are the same thing Jerry.